During my confinement, as usual, we should wear the traditional ‘bengkung’. This is very important for us women to wear ‘bengkung’ after delivery to kecutkan rahim, and to be back on shape. So, mase tu, I only have the traditional bengkung yang kena berlilit lilit bagai. The first time nak pakai, sampai 2-3 org kena tolong nak tarik2 tali and ikat sampai ketat. So, how am I going to wear it if there is no one to help?? My mom was working, then she had to leave me alone at home with my newborn baby. Obviously, i dah takde org nak pakaikan bengkung, so I just ignore it. Bila dtg aunties ni, semua dah membebel bising sebab tak pakai. They kept on telling me, nanti perut buncit..anak baru sorang! Huwaaaaa~ rase tertekan…dahtu, sape nak tolong?? and that time kenapa la takde org bgtau that I can wear the modern corset like Premium Beautiful. If I have been given the choice between traditional versus PB, obviously I’m choosing PB corset which can give me a good result, much easier to wear, and very comfortable. By wearing this you can go to the toilet anytime, can easily breastfeed your baby and move around. By wearing PB corset, perut/rahim akan rasa lebih kemas and takde bergoyang goyang bila jalan. Every parts of our body will be nicely put in place ;) In shorter time, you will get back your original shape and most importantly, rahim cepat kecut and kembali pada kedudukan yang betul. By wearing PB constantly, you can also get rid of the UGLY STRETCHMARKS and CELLULITE. You will be amazed by the result, trust me! Besides the beauty, in terms of health you will feel so much better by wearing PB as it regulates blood flow..darah2 kotor cepat keluar and you will not be having constipation. This PB can also help to balance your hormones such as ‘estrogens’ and ‘progesterone’. Another benefit for breastfeeding mom, it will increase your breastmilk production! Wow~..there’s a LOT of problems can be solved just by wearing PB. 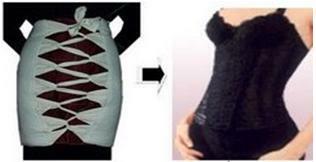 So to all mommies out there, CHANGE to this PB CORSET NOWW!! YOU DESERVE TO EXPERIENCE THE DIFFERENCE ! salam k.naa, nonie nk mtk share testimonial k.naa pasal pengalaman pakai bengkung ni boleh ye..hehe nk ltk kt blog..